Matthew Pearson is a welcome fresh face in the real estate industry – enthusiastic, motivated and just raring to go! 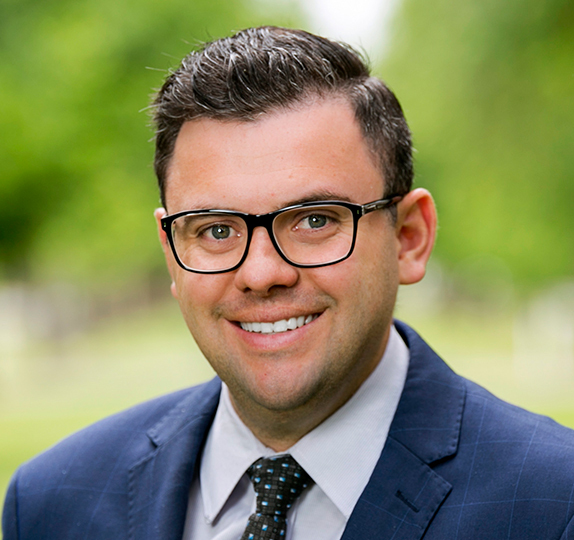 Adelaide born and bred, family man Matthew now lives in Hampstead Gardens and has a solid understanding of property issues in the North-eastern suburbs. He developed a strong work ethic in the hard-working hospitality management arena, where ‘you need to genuinely empathise with people and problems’. He loves the challenges real estate often brings, has a positive, can-do attitude and promises open communication channels with his clients. Matthew is a great listener, which, coupled with a good sense of humour, helps him form an easy rapport with clients, and he is super-driven by ‘helping hard working Australians achieve their property goals’. Respecting structure, Matthew will always keep you well informed, and is proud to call himself a thorough and highly organised individual. He is delighted to be part of Harris Real Estate, the brand, marketing approach and terrific team culture, and looks forward to being able to help you through life’s property journeys. What a great company to deal with, Matt did an exceptional job. I would recommend Harris RE to anyone wanting to buy or sell. Good job! Matt was fantastic and a pleasure to work with. Professional and personable – a fantastic agent who goes the extra mile. I referred him to my father to sell his house. We tried a few agencies besides Harris Real Estate to compare who would best suit our needs. Harris Real Estate clearly topped our list showing enthusiasm to get the best sell possible within a short timeframe. Matthew had a goal and made us feel confident that he would achieve it. Very impressed with Matthew`s professionalism and communication throughout the whole process. I was also impressed on auction day with the teamwork from both Matthew and the auctioneer Michael Duff. Loved Harris Real Estate! would use them again and again and highly recommend them to anyone. The service we received from Karen Dorman and Matthew Pearson was exceptional. No stone was left unturned in the sale of our house. Throughout the entire process, you were thorough, friendly and a professional. Phil ran an excellent auction. We are completely convinced that the maximum possible price was obtained on the day through your efforts. At the end of the day, that is the true litmus test of a real estate agent. From the first inspection to being handed the keys, the process was seamless. Matthew was friendly and quick to respond to any queries I had. We engaged Matthew Pearson from Harris Real Estate to sell our house after living there for 7 years of our glorious life. We consulted with a few other real estate agents and carefully considered and choose this young man when we decided to sell our house to upgrade our life style to fulfil our growing children’s needs. Matthew understands the real estate market very well and has a realistic approach to meet vendor’s expectation. It is important to put your house on sale on right time depending on housing demand of your surrounding neighbourhood area. We consulted with him and choose a period when the housing market is growing positively in our area. He closely worked with us and presented our house well to attract buyers. Matthew did the marketing well and sold the house within 6 days using his great negotiating power. He is an enthusiastic, energetic, well organised dynamic young man who focuses on results with excellent communication skills. He is a hardworking young professional who is reliable and can deliver promises within specified time frame. Matthew is a friendly approachable person who is confidentially able to meet your demand. Matthew delivered beyond our expectation and we satisfied with his performance and professional services. We strongly recommend him to anyone who wants to sell their house beyond the asking price within stipulated time frame. Matthew Pearson was exceptional with his service and expertise. I would highly recommend him if anyone would like an amazing outcome from the sale of their home and would like exceptional service also. Best Real Estate Agent Adelaide. Great service and communication from the start, easy to work with and got the job done. Matt Pearson is an absolute LEGEND, he kept me up to date with absolutely everything that was happening NON stop through out the whole SALE to settlement, he also is a wealth of information – and just a lovely lovely person. I would recommend him to EVERYONE and can’t thank him enough.